Plus Size Kitten: Free Laneige Sleeping Water Pack Samples! Laneige Facebook shout out today! 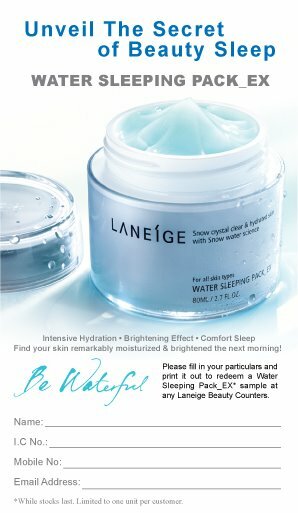 They're giving out FREE Water Sleeping Pack Samples at all Laneige Malaysia outlets. All we have to do is print this out and fill up the form to redeem.